If you've ever had to buy a gift for a wine lover, you already know that their favorite present is “more wine”. But if you've ever had to buy a gift for a wine lover, you also know that just buying them a bottle of wine is a big mistake. Not only do you risk buying a type of wine they don't like, but you also open yourself up to a long explanation about exactly it was the wrong choice. No one wants to take that chance. That’s why the best gift you could get for the wine lover in your life is the wine gift that keeps on giving—namely, membership to a wine club. Here are the 7 best wine club memberships to give as a gift to your favorite wine lover. If you have a wine lover who’s enthusiastic, but still developing his or her taste preferences, Firstleaf Wine Club membership is an ideal gift. Not only will they get 6 bottles of wine a month, but those wines are also chosen by a certified Master of Wine. Firstleaf also takes care to match wines to your taste preferences, in response to drinker feedback. As each month goes by, the wines get more and more customized to the recipient’s palate, so the gift just gets better and better. The ideal gift for wine enthusiasts who also love a little celebrity glamor. Nocking Point Wine Club was founded by a TV star. Not only that, it features exclusive wines that are produced only for Nocking Point Wines. Each month, at least one bottle in the delivery was developed by a celebrity “tastemaker,” giving your recipient major bragging rights. Along with exclusive wines, Nocking Point also sells artisanal coffee and unique, funky T-shirts, both of which are included in the quarterly wine club boxes. It’s an added bonus for foodies and cool people everywhere. Gold Medal Wine Club is the gift for wine aficionados of all descriptions. There are 6 levels, from the Gold Wine Club for beginner wine drinkers, all the way up to the Platinum and Diamond Wine clubs which specialize in premium, luxury wines. You can give Pinot Noir wine club membership to loved ones who enjoy their reds, or Garagiste wine club membership to wine snobs who want artisanal, small-batch wines. Every Gold Medal Wine Club comes with the backstory and tasting notes to each bottle so that your wine lover can expand his/her wine knowledge. 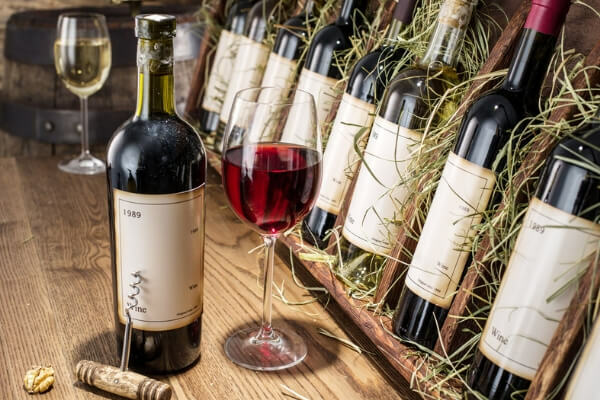 The Gold Medal Wine Club also offers International Wine Club membership, which delivers rare wines from little-known family estates around the world, along with gourmet foods from the same region. Membership to HelloFresh's wine club is perfect if you have a friend who already orders HelloFresh meal kits. Not only will they get 6 bottles of wine every month, but they also get pairing suggestions that help match each HelloFresh wine with the best HelloFresh meal. Even wine lovers who aren’t already HelloFresh customers will enjoy this gift. Accompanying tasting notes increase their vino know-how. Every case is carefully selected by the in-house HelloFresh sommelier, making this a great choice for beginner wine drinkers who want the reassurance of an expert’s opinion. When you give the gift of membership to the Winc wine club, you’re opening up a whole new range of wines for the wine lover in your life. Winc sends wines chosen from all over the world, but it matches them to the recipient’s palate. Don’t worry—when you give a gift subscription, your loved one will get a virtual gift card that invites them to sign up for free, so they can complete their taste profile themselves to make it more accurate. Winc wines come with tasting notes and pairing suggestions, making it a great way to get a newbie wine drinker started on the adventure and to introduce wine experts to little-known international wines. When you gift membership to Naked Wines, you’re really transforming your wine lover into a big-shot wine investor. Wine clubs don’t get much more exciting than that—or not without running away to buy a chateau. Members of Naked Wines are called Angels because your $40 monthly fee goes straight to the up and coming, artisanal winemakers. Then the recipient can use his/her credit to buy exclusive wines that aren't available anywhere else at hugely discounted prices. Last but not least, no wine lover will turn down membership to one of The California Wine Club’s 5 different clubs. Each club features wines produced solely by small, family-owned wineries. The prestigious Aged Cabernet series is perfect for wine snobs who only drink Napa Valley Cabernets, whereas the Premier Series clubs are the best-sellers. The Signature Series club allows the recipient to brag about drinking exclusive artisanal wines; wines from family estates around the world are delivered by the International Wine club; and your wine lover can boast about only drinking wines from the Oregon and Washington wine regions with membership to the Pacific Northwest club. Basically, the The California Wine Club allows you to gift exactly the right level of wine snob value. No matter which of the best wine club subscriptions you choose, you’re sure to delight the heart—and taste bud—of the wine lover in your life. Choose the frequency of the deliveries, how many bottles are delivered in each shipment, and the right mix of reds and whites to make someone very happy, whatever the occasion.